One definition of public relations is the use of third-party communications to inform and persuade an audience, said David Wilson, group managing director at Bell Pottinger. Our group met Tuesday morning with Wilson at the Bell Pottinger London offices to hear about the PR firm’s strategies and mindset when dealing with a client’s reputation and increasing its value. Wilson explained that a company’s or brand’s reputation is based on three core elements. First, it depends on how well you are able to persuade your audience that what you are telling is worth hearing and accepting as fact. Second, you must understand the perceptions your audience has about the company or brand and how you would prefer the public to perceive your client. Last, it is important to take note of what actions you are taking to establish this reputation and how the audience is reacting to these decisions as well. Reputation is also established based on the equation of what a client says, what it does and also what the audience hears and sees it doing. Though it is important to establish a brand or company in as positive a light as possible, it is also imperative to remember that the public will assess the claim’s accuracy to see if the client is keeping to its word. I found that this idea tied in with Jeremy Hildreth’s idea that doing less pretending could create a stronger marketing campaign, instilling greater trust in your brand. Wilson also brought up an interesting point about how younger generations are becoming more accepting of information they receive through social media and other digital means. He called this the age of reverence versus the age of deference. In older generations, people were more prone to accept information from those considered the leaders or established intellectuals of society. These generations held “reverence” for those in positions of traditional power or prestige. Millennial generations, Wilson explained, have more of a tendency to accept the word of strangers they just met or people with whom they have a stronger relationship. Younger people are spending more time on the Internet and social networking websites, therefore they are receiving most of their news and information via these channels. This rise of “deference” made me think about how younger generations might restrict themselves when receiving information. There is no doubt that Facebook and Twitter provide a plethora of links, opinions and news updates on our feeds every hour. I often find, though, that many of the shared stories on these sites are one-sided or lack several facts that ruin their integrity. This high accessibility to information and our reliance on these sites might restrict some younger people from actually researching these issues on their own. That’s not to say that these websites aren’t progressive and fundamental to the future of public relations. Wilson alludes to digital media as a “double-edged sword” that can build an image up or knock it down. He stressed the importance of understanding digital media as the most important skill needed when entering public relations today. It is easy to see why when you note the overwhelming presence of the Millennials and their succeeding generations using and revolutionizing the Internet. I have noticed, though, that some of the card machines in certain stores or restaurants are different from those in the States. Often when I pull out a “swipe” at the register, the cashier needs to see my card and manually punch in the 16-digit combo. I feel that I frustrate the cashiers sometimes because they have to do this, and I can imagine why. I know lots of cards outside the U.S. have a chip within the plastic, which actually protects your account information better and is easier to use. Hopefully America will be in making the switch in the next few years. I’m afraid at times to pay for meals with paper pounds because some places in London only accept cash. Also, despite my best efforts to keep my purse covered and close at all times, I know that London is a big city with big opportunities for theft, so I am wary of keeping a lot of cash on my person anyway. So punch those numbers in, Mr. Cashier. At least I’m a proper tourist and spending money in your country. An export’s place of origin is the hidden brand asset of the 21st century, according to Jeremy Hildreth, Thrilling Cities co-founder and co-author of Brand America. Thrilling Cities markets itself as the “only exclusively place-oriented branding and creative agency in the world,” working with different media to promote brands based on where they are made and other aspects of a place that attract people to a particular region. Place branding was one of the major topics Hildreth addressed during his visit to our class this Wednesday. Hildreth proposed the idea of six branding techniques that his company works with when promoting a city or product. These six included direct advertisements that draw visitors, tactical communications, “piggy backing” communications, policy changes, dramatic or symbolic actions, and place of origin labeling. One example of Thrilling Cities’ use of direct ads and tactical communications was the company’s campaign for the London Tourism Board. Thrilling Cities was faced with the challenge of promoting the largest city in Europe and creating an identity for London that would break perceptions and encourage people to visit. Hildreth said one of the guiding principles of place branding is that if people understand a place better, they will like it better. 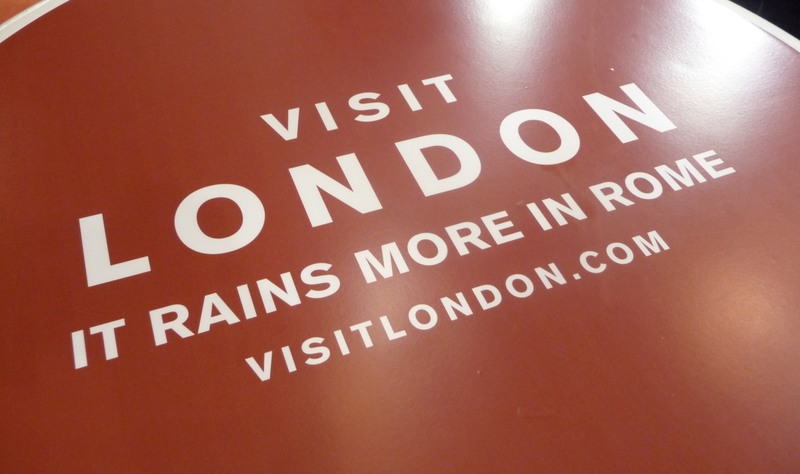 The “Visit London” campaign aimed to do this and used traditional advertising media such as posters, social media and freebies, while using the ads to acknowledge certain aspects about London that are unique to the city. The particular claim that “It rains more in Rome,” was especially successful because it was both direct and used researched data to negate London’s rainy stigma. Hildreth also spoke about the company’s publicity campaign for the city of Vilnius, Lithuania. Rather than create promotional content that showed the architecture or quality of life of the area, Thrilling Cities aimed to find what made Vilnius stand out from other mid-sized European cities. The answer came with using street gymnasts performing stunts on city buildings and structures through a creatively shot tourism video. This helped identify Vilnius as a vibrant and active place where traditional European charm and modern lifestyles blend harmoniously. Though the Vilnius campaign “piggy backed” off of the city’s background to show off its cultural oddities, Thrilling Cities’ Mongolian cashmere project focused more on establishing Mongolia as a premier exporter of a highly sought after product. Hildreth explained that about 40 percent of the world’s cashmere is produced in Mongolia, though the country is not well-known for this fact. Thrilling Cities helped develop the “Mongolian Noble Fibre” designation in an effort to brand Mongolia as a source of quality cashmere. Similar to the theory with the Visit London campaign, the Mongolian cashmere project aimed to help people understand the country as an exporter of cashmere, in turn encouraging people to buy the product because they associate Mongolia as a leader in the cashmere industry. The argument that the “Made in ____” space is the next great advertisement was fascinating to think about because many of our purchasing decisions are based on an export’s place of origin. Some people are more prone to buy a German car than others because they have been led to believe through strategic advertisement that the country’s automotive technology is superior to another country’s product. Other customers are drawn more to apparel designs that have names and logos associated with an Italian background because that country is considered to be a leader in the fashion world. One of the best things about visiting London is that it is an incredibly easy city to travel in. Between the walking and using the Tube, you pretty much have the city at your fingertips. Something I did notice, though, is the lack of gas stations in town. After three full days in London, I have yet to spy one anywhere. At first this made a lot of sense to me since most people don’t drive as they do back home. I figured I was just used to seeing a gas station on every street corner back in America. This would be valid reasoning except for the fact that there are a lot of cars in London. The narrow streets are filled with black cabs, tour buses and other European vehicles zooming and merging across lanes that seem tight for a bicycle let alone a compact car. Surely this meant that there had to be gas stations somewhere in London, even if I can’t find them. I did a little research and found out that in the past 40 years, about 30,000 petrol stations, or forecourts as they are also called in the U.K., have closed across the country, leaving about 8,600 stations left. This has forced a lot of residents to commute to find the cheapest petrol since a lot of these stations use competitive pricing because of product’s scarcity. According to BBC News’ fuel price calculator, the average price for unleaded petrol is about £1.30 per liter (In dollars, that is about $2.20). A small car here could probably hold about 40 liters, which amounts to £52, or $88.30! That’s pretty expensive. Should I have been an Englishwoman, I think I would stick to the underground. 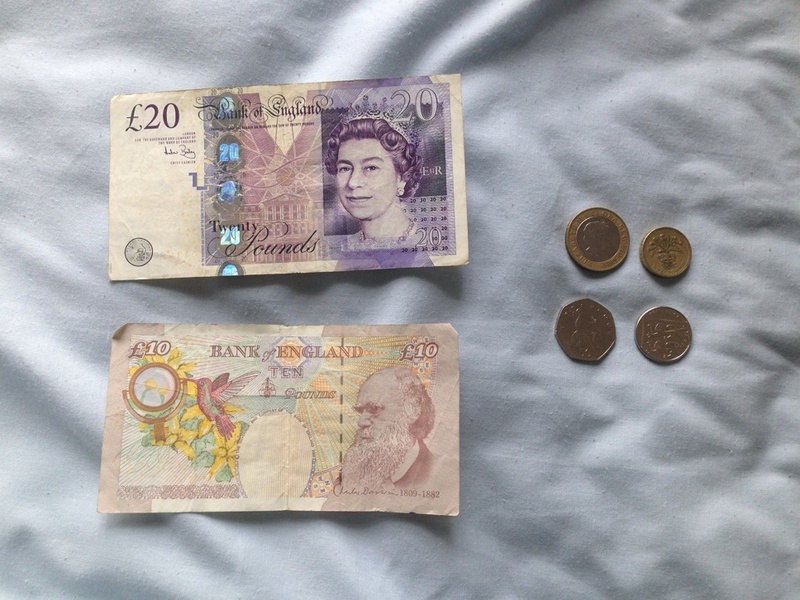 After spending a stressful first day trying to figure out how to work the ATMs abroad, I finally managed to get some pounds through the machine on Regent’s campus (after a quick phone call to Wells Fargo’s international customer service). It was a huge relief to know I had the right money in my purse, and for the rest of Sunday I was satisfied in knowing I wasn’t “poor” in London. The next step, though, was actually paying with my newfound pounds. Pounds are shorter, wider and more colorful than U.S. dollars. This is meant to help people tell the difference among the bills, but I am so accustomed to looking in the corners for numerical value that the color coding is lost on me. I suspect it will take me a little while to determine what color equals what value. The coins are another story, though. One and two pounds are minted as coins rather than bills, so sometimes they get mixed up with my pence coinage. Much like the bills with color, pounds in coins differ in thickness, which will also take some time for me to adjust. For the meantime, I will continue to play “squint and guess” to try to figure out what value I’m handing to the cashier. Also, everything has the Queen on it. They do a good job though of representing other famous Brits on the bills, like Charles Darwin, to keep things interesting. As the last few days of the work week wind down, I find myself becoming incredibly eager to embark on my first study abroad experience to England. I am looking forward to getting the chance to finally travel outside of the country but also get the opportunity to interact with people from different backgrounds. Other than a few Girl Scout trips to Canada when I was younger, I have never been outside of the United States, and certainly not for such an extended period of time. I heard several horror stories from friends who had studied abroad about how long they had to wait to receive their passports, but mine processed in a quick three weeks. My main concern is not flying to England, though, but rather how to navigate the city once I get there! My city transit experience is limited to a few rides on the Metro in Washington, D.C., back in 2009, so hopefully navigating the Tube in London will be as easy as I’ve heard it is. I’m also a little concerned about understanding the conversion of the U.S. dollar to the British pound, but I am confident that I will figure it out after my first few days abroad. I am a part-time intern in the office of marketing and public relations for the city of Stillwater, so I have spent most of my time in Oklahoma the past three years. The weeks leading up to my trip consisted of a short trip home to Waco, Texas, to visit my family, figuring out what to pack and trying to finish all of my marketing campaign projects before I fly off to learn about how international companies market themselves to a global audience! 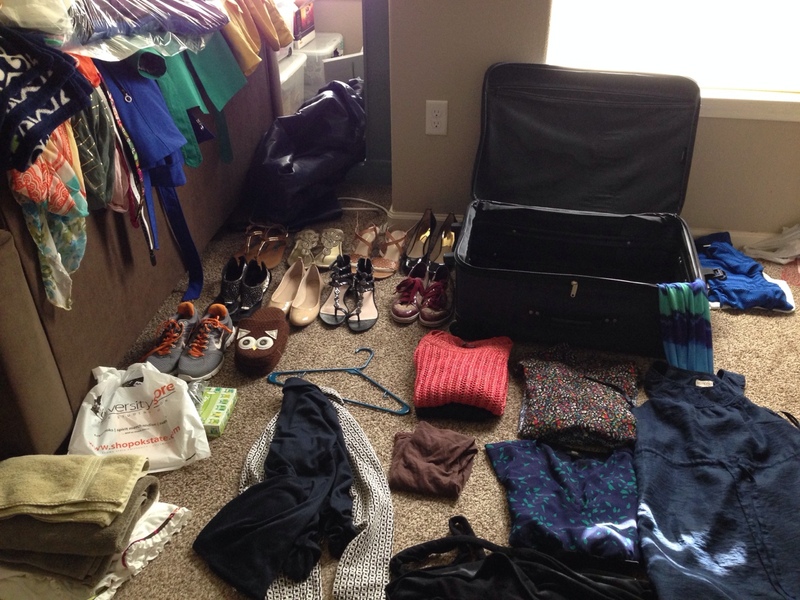 Sometime before I leave tomorrow I will convince myself that I can’t bring nine pairs of shoes to Europe. Having learned about public outreach and branding on the local level, I am excited to shift gears and explore how organizations do this on an international scale. I hope this opportunity also prepares me for international travel in the future should I have a career that might send me abroad. I also want to gain an appreciation for other cultures during this trip and an understanding of the United States’ influence in other regions of the world. 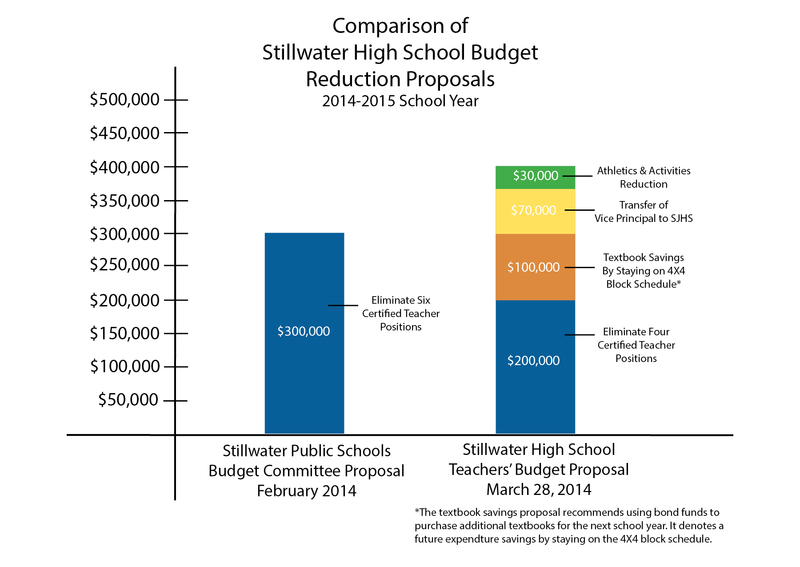 Stillwater parents, students and staff will have the opportunity to ask specific questions concerning the Stillwater Public Schools budget Tuesday. The Stillwater League of Women Voters will host a public forum from 7-8:30 p.m. at the Stillwater Community Center at 315 W. Eighth Ave. The district agreed to participate in the forum after receiving requests from some parents to address further questions about the state of the district’s budget. High and his wife were two of the parents from the group who suggested the forum idea to Superintendent Ann Caine. Concerns arose about the district’s budget in March when administration announced that SPS would cut $1.9 million from its operating budget for the 2014-2015 school year. Some changes have been made to the administration’s original budgeting plan since it was proposed. The district decided to keep the block schedule at Stillwater High School after compromising on a recommendation from high school teachers. Six certified teaching positions would still be eliminated from the school. The original proposal estimated a savings of $300,000 to the district by removing the block schedule. The district also decided to renew its contract with the city of Stillwater to finance its school resource officer (SRO) program after questions rose about student safety should the program have been terminated. Despite these changes, one parent said she is still concerned about the future of the SRO program. Andrews said many of her submitted questions are about budget issues and the need for greater transparency and accountability from administration. Caine said she was given the option to see the questions before the forum but declined. Another parent said she hopes her question is answered about why the district did not prepare for budget cuts when it knew they were coming. Andrews said she thinks the administration agreed to do the forum because it realized it was exhausting its efforts when only speaking individually with parents. Those interested in asking questions can anonymously submit them at the forum or email them to spsforumlwv@gmail.com. Stillwater Public Schools announced earlier this year it would need to cut $1.9 million from its budget for the following school year due to decreases in state funding. 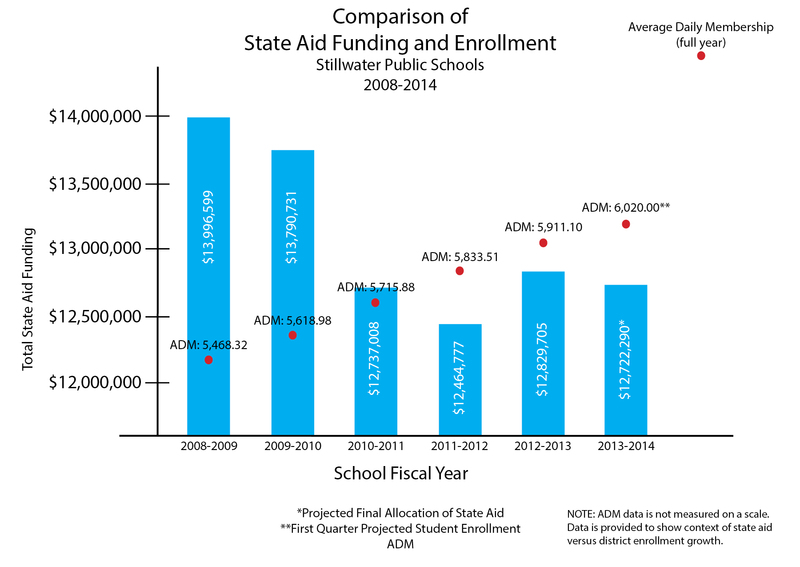 SPS has seen increased enrollment districtwide the past few years. Data collected from the SPS 2013-2014 operating budget. Stillwater High School students will not have to switch their schedules next school year after an administrative decision was made to keep the school’s traditional block schedule. The decision was made after a budget committee of Stillwater Public Schools administrators and school principals met Tuesday to discuss the proposed staffing cuts received from high school teachers on March 28. The teachers were given the opportunity to submit a proposal to administrators on how to reduce the school’s expenditures by $300,000 for the 2014-2015 school year. Superintendent Ann Caine, a member of the budget committee that made the decision, said she agreed with the choice to keep the block schedule. The high school teachers proposed a reduction in four staff positions for a savings of $200,000, a textbook savings of $100,000 should the high school remain on its block schedule, the transfer of a vice principal to Stillwater Junior High School for a savings of $70,000 and a $30,000 reduction for athletics and activities. The proposal amounted to an overall reduction of $400,000. The proposal noted that additional textbooks could be bought through a bond fund to keep the block schedule in place. It also claimed that textbook costs would rise 50 percent each year should the high school switch to a traditional schedule. The possibility of changing the block schedule came into question in early March when administrators notified parents that the high school would need to reduce six certified teaching positions at the campus to save $300,000 for the upcoming school year. The high school would also switch to a traditional schedule of three days with seven periods and two days with block scheduling. The current block schedule has four 90-minute periods each day. It allows for students to complete courses such as English and mathematics in the fall and history and science courses in the spring along with other electives. An outpour of questions and concerns about the reduction of teachers from parents and students prompted administrators to pull the modified block schedule vote from the March 24 special school board meeting to give the high school teachers time to propose an alternative plan. Director of Human Resources Kellee Brown, another member of the budget committee, said the final decision regarding staffing at the high school next year would be a version of the teachers’ suggestions. “We felt that the information they provided gave us a really good starting point to get to that $300,000,” Brown said. Brown said six positions would still have to be eliminated, but the district might be able to retain those employees in other teaching positions. Caine was also in agreement. Enrollment for pre-kindergarten began on March 31 and enrollment for the other schools will begin April 3. Brown said the district would have a better picture on the demographic numbers for next year’s classes in the coming weeks. One parent said she was pleased with the decision to keep the current schedule in place. Speer spoke in opposition to changing the block schedule at the special school board meeting on March 24. She said her main concern was the limited opportunity for students such as her daughters to take Advanced Placement and concurrent enrollment courses with a traditional schedule. Speer said her older daughter, who will be a senior next year, was also happy about the decision. With the block schedule, Speer said her daughter would be able to keep her plan to take AP French level five in the fall and possibly a concurrent college French course in the spring. She said she is also glad other students will still have these opportunities down the road. “My youngest is a freshman and she’s excited to be able to have the benefits that the block schedule brings,” Speer said.